While I love the weekend morning ritual of plopping bucket-fulls of sudsy, soapy water on my car and scrubbing the week’s grime away, I’ve learned that taking my car to a commercial car wash is much more eco-friendly. Using an automatic car wash is a green way to keep your car clean — and it’s much better for the planet’s health than a typical Saturday morning carwash at home. I actually LOVE washing my car at home on a nice, mild day when the weather is gorgeous and I’ve got plenty of time to spare. But until waterless car washing products really make a splash in the automotive world, automatic car washes will continue to be a better option than washing your car by hand at home. So, is it really more eco-friendly to get your car washed at the gas station than to simply wash it by hand in the front yard? A standard garden hose can pump out 10 gallons of water per minute — which means that a 10-minute car wash could consume 100 gallons or more. That’s a lot of water! Compare that to a typical in-bay or conveyor gas station automatic car wash machine — which may use 35 to 85 gallons of water per vehicle. The water savings is pretty evident. Taking your car to a commercial car washing service could save 20 to 70 gallons of water compared to washing it at home. Much of the water that a commercial car wash machine uses to clean your vehicle is recycled. None of the water I use to wash my car is recycled, and I’ve got a hunch many people reading this don’t use recycled water to wash their cars, either. Most automatic carwash machines are extremely efficient at minimizing water usage and using chemicals that are safe for the planet. Today, car wash companies are required to filter their wastewater — so pre-wash chemicals, soap, polishing compounds, and other agents won’t leak into rainwater systems and potentially harm waterways and wildlife. That filtered waste water is either sent into the sewer or reused for washing and rinsing other vehicles later. On the other hand, the soap and other chemicals that most of us use to wash cars in our driveways are certain to leach into the environment — because they aren’t being filtered from the wastewater that drains into the sewage system. Thankfully, there are organic car wash soaps and other products you can buy that won’t be as harmful on the environment. Simply by using natural car washing products and an automatic shut-off hose sprayer you can really make an at-home car wash eco-friendly. If you plan to continue washing your car by hand, use these eco-friendly car wash tips. Considering that just 1% of the world’s water is safe for human consumption, it sure makes you think twice about willy-nilly car washes in the front yard, huh? You’re going to have to choose from several different car wash options, including a standard wash, wash and wax, or “the works” — usually a combination of wash, wax, and perhaps undercarriage wash or deluxe polish. Each of these car wash options will cost anywhere between $5 to $15 — depending on the service level you choose. Normally you’ll get at least a basic wash for $5 or $6, whereas the higher-priced options include wax and polish services. You’ll have to sit in your car for 5 to 10 minutes while the car washing machine does its thing. 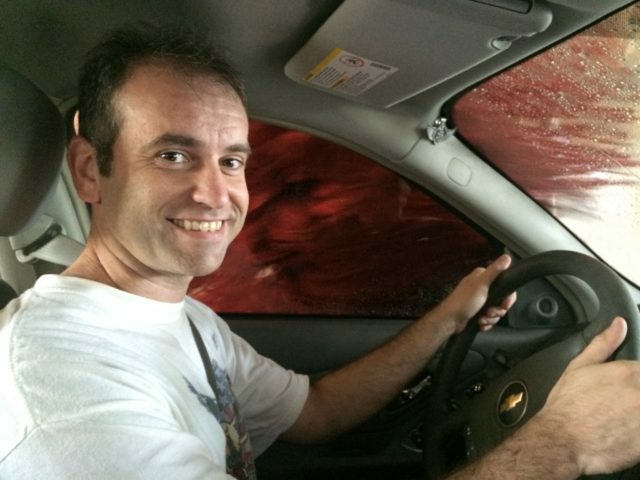 You’ll experience lots of sights and sounds while you’re inside the car wash, including spinning brushes, noisy jets of water and soap, the sounds of big machinery polishing your car, and flashing lights indicating when you should stop or go. It seems to me that using an automatic car wash is a fail-safe way to make my car look nice and clean. The cost — For the price of a single deluxe car wash at the nearest gas station (let’s say $10), you could buy yourself a bottle of basic car washing soap, a rag or sponge, and a simple bucket at one of the big-box discount stores. And, of course, you’ll get a lot more than a single car wash out of those supplies. Incomplete results — Are you picky about how your car is washed? If so, then an automatic car wash probably isn’t for you. 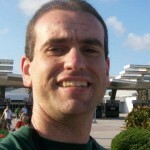 Machines are great, but they lack the human eye, and mistakes sometimes will happen. 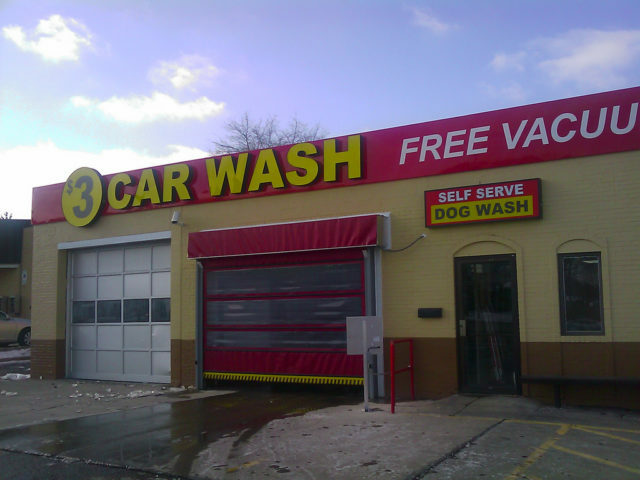 Every time I’ve used an automatic car wash machine, my hubcaps didn’t quite come out clean, and there were a couple small areas on the back and sides of my car that the machinery seemed to miss. Possible damage — Today’s car wash systems are safer than ever, and many modern automated car washes use soft cloth brushes and jets to pump water, soap, and wax onto your car, removing almost any chance of inflicting damage on your car. But many people report swirl marks, scratches, and other damage. I can also say that, so far, I’ve had absolutely zero problems due to using an automatic car wash machine. Claustrophobia — I don’t personally have any issues being in small, closed-in spaces, but I know a lot of people who do. I doubt they’d enjoy being stuck in their car inside a tunnel while large, strange-looking machinery with gargantuan brushes and heavy-duty scrubbers repeatedly slap all sides of their cars. I’m sure the heavy jets of water and foamy soap shooting at their windows wouldn’t help them feel at ease, either. 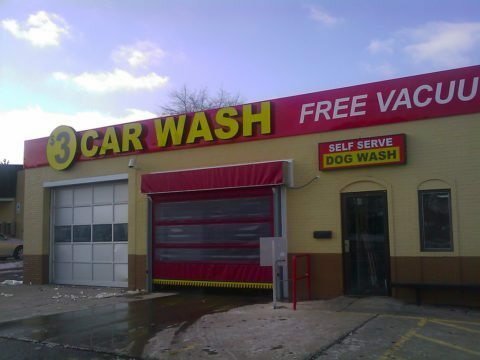 So, if you’re the type who would find such experiences anxiety-inducing, then an automatic car wash may not be for you. Want to make your trip to the automatic car wash the best experience both for you and your car? Skip unnecessary options such as tire protectant and tire polish. A shiny tire might look nice, but it’s not going to help the performance of your car any. And for the same difference in price as the up-charge, you can buy your own bottle of tire shine, which is really easy to apply. If you have the option of an undercarriage wash, by all means take it. Few car owners wash the underside of the car, yet this is where much of the dirt and grime on your car collects — and can potentially cause some serious damage by rusting the frame and clogging up the vents and moving parts underneath your car. Water jets and sprayers will help remove this debris and ensure that your car’s undercarriage is in tip-top condition. Tire and wheel cleaning is another good option to choose. Dirt, grime, and brake dust can do serious aesthetic damage to your tires, so it’s a good idea to get your tires and wheels cleaned as often as possible. Some commercial car wash services have attendants who will manually wipe your car with towels after you leave the automatic car wash machine. If the towels they use appear dirty, politely bypass this stage of the wash. Why? Old dirt and grime in those towels can act like sandpaper — scratching your car’s paint job and causing more damage than good! Is Waterless Car Washing On The Way?